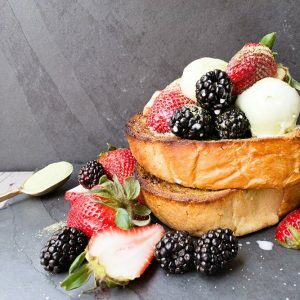 If you’ve seen my recent posts, you can tell that I’ve been guilty of indulging in some less healthy dishes. Watching the Food Network late at night can do that to you. 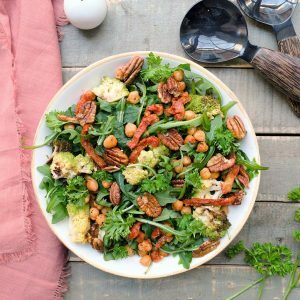 Well, I’m making a change this week and presenting meals that are easier on the waistline, specifically, my waistline. In an effort to lower the number on the scale, I am preparing healthy yet flavorful Moroccan chicken pita sandwiches. 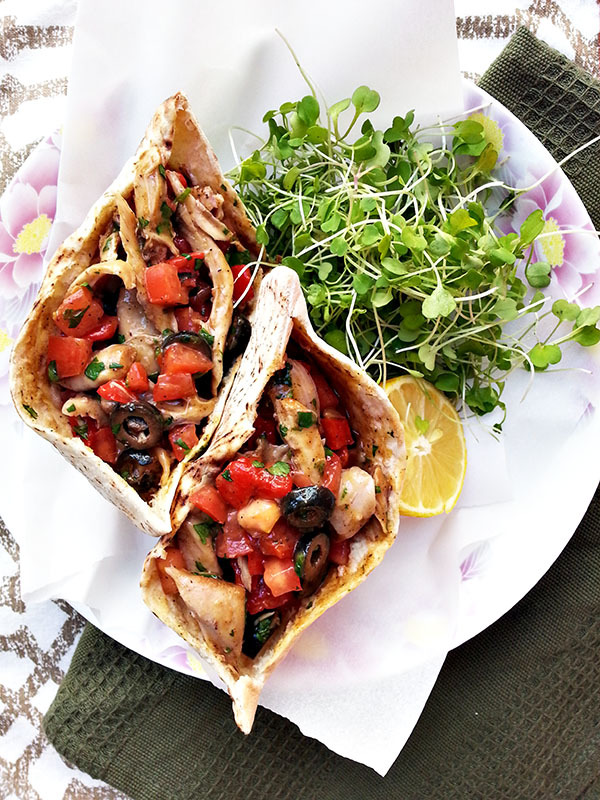 Braised chicken is tossed with olives, roasted peppers, and tomatoes and stuffed in warm pita bread to make one flavorful and satisfying meal. CCombine seasonings for the marinade (cayenne-lemon juice) in a medium bowl. Add the chicken and toss to coat evenly. Marinate for at least two hours or overnight. Heat olive oil in Dutch oven over medium-high heat. Add the chicken and sear on all sides. Remove and set aside. Add the chicken stock and deglaze the pan, scraping the browned bits on the bottom of the pan. 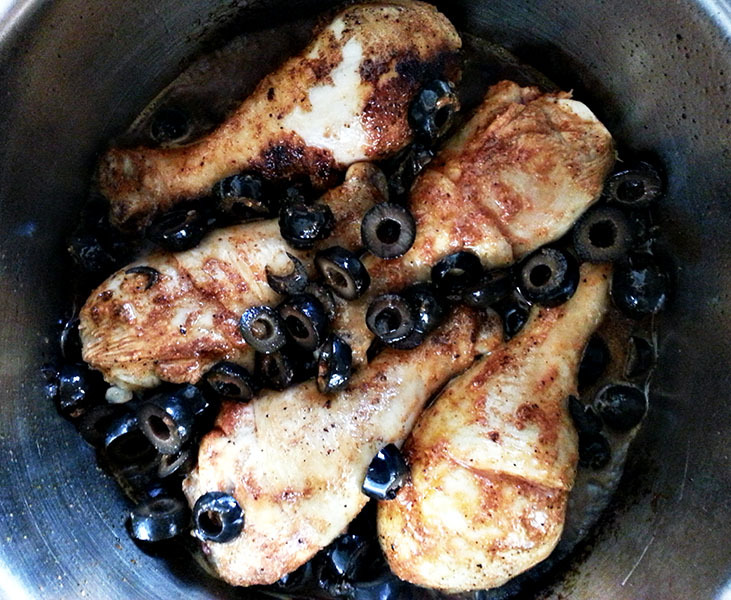 Add the chicken and olives back to the pan. Bring to a simmer, reduce heat to medium-low and continue to cook until the chicken is tender about 20-25 minutes. Meanwhile, roast the bell pepper directly on the stove top until the skin has blackened. Transfer to a heat-safe bowl and cover. Let sit for 10 minutes. Carefully remove the skin, discarding the stem and seeds. Chop the pepper. Remove chicken from heat. Shred the meat, discarding the bones. 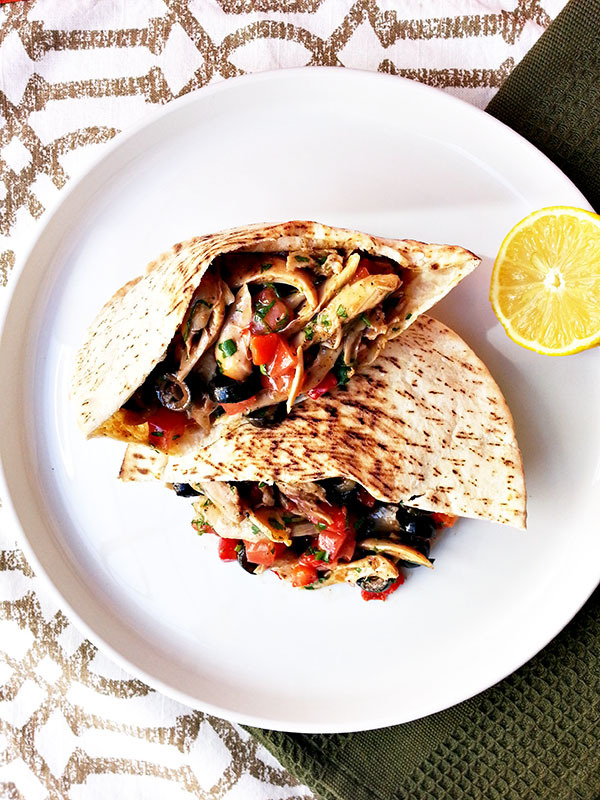 Toss together with the olives, roasted bell pepper, tomatoes, cilantro and braising liquid. Season with salt and pepper. Toast the pita bread. Split open and stuff with the chicken mixture. Serve. Although this recipe uses chicken drumsticks, feel free to substitute with chicken breast for an even healthier meal. I personally prefer the dark meat because it’s much more tender and juicy. Dark meat is more forgiving than light, especially when it comes to long cooking periods. 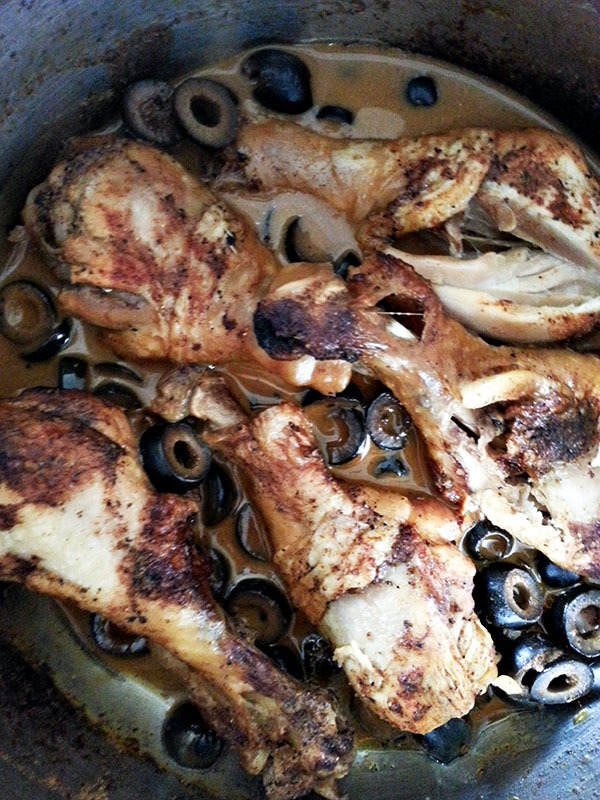 When preparing the chicken, all the flavor comes from the olives, chicken broth, and the chicken itself. 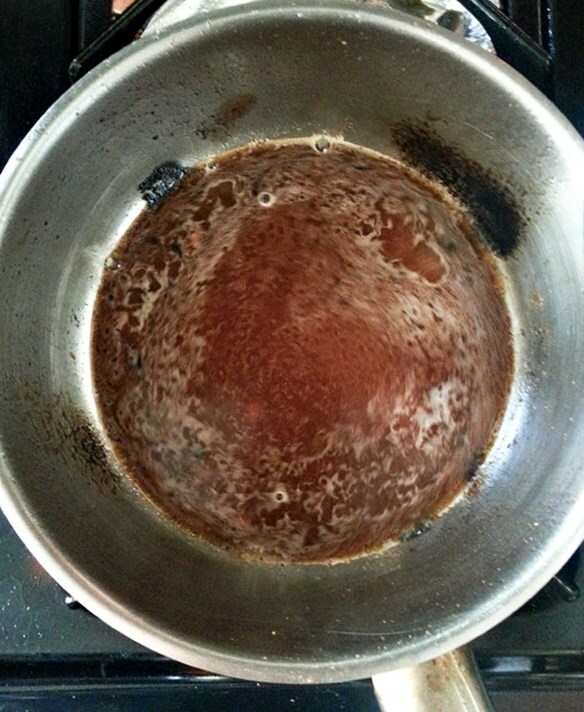 You can already see the broth being flavored from the fond as soon as it is added to the pot. The fond refers to the browned bits and caramelized drippings from the chicken that was seared in the previous step. Another reason I prefer to use chicken legs instead of chicken breast is the bone. The bone imparts more flavor to the broth, which will later become a sauce and binder for the filling. A short while later and the chicken is falling off the bone. Toss together with the tomatoes, olives roasted peppers and broth. 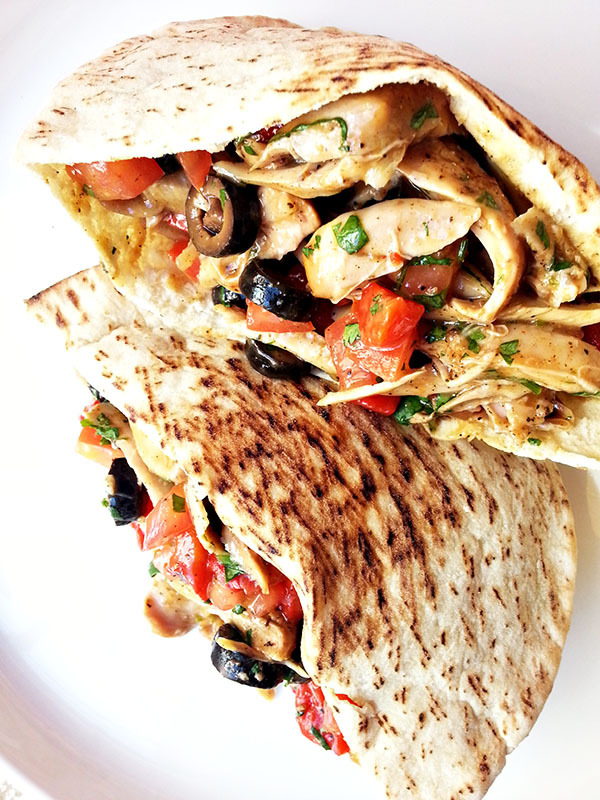 Stuff in warm pita bread and you have Moroccan chicken pita sandwiches. 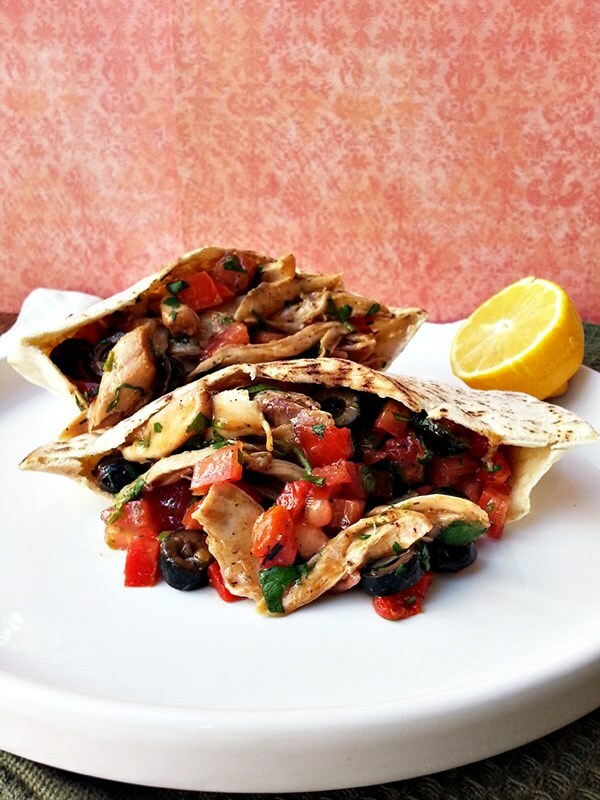 The fresh, bright tomatoes with the briny olives and juicy chicken is a wonderful combination. Enjoy with hummus if you dare or perhaps a tahini carrot slaw. Lunch is served! 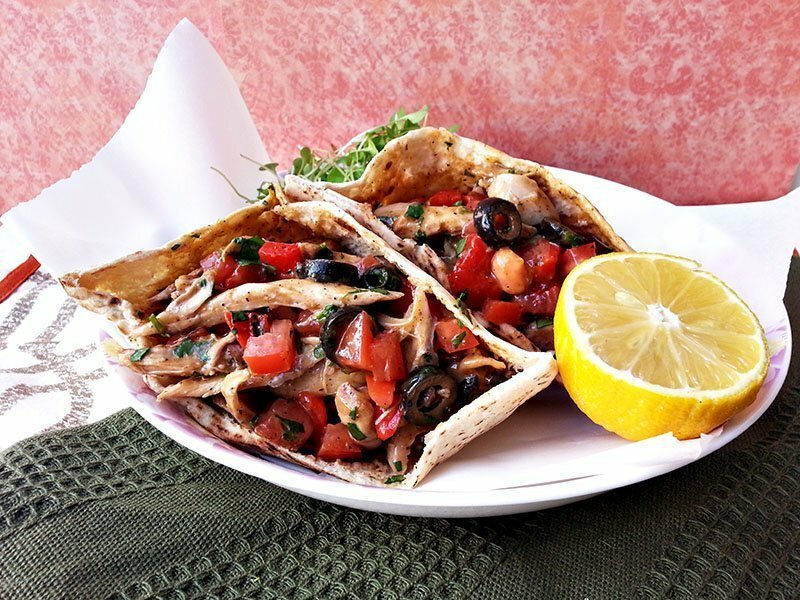 Who doesn't love pita sandwiches!